More than 1.6 billion people visited IKEA’s website in 2015. That’s a fifth of the entire world’s population and more than half of all people with internet access. But despite that incredibly impressive reach, IKEA had a conversion problem. The store’s online and mobile platforms did a poor job of converting younger consumers, and the reason wasn’t a lack of brand appeal or pricing – it was a clunky, out-of-date user experience. Take the search bar at the top of the old website. Few IKEA users – if any – know the exact Swedish names of the products they’re looking for, so they tend to search for a category of products instead of a specific item. A follow-up search revealed that IKEA refers to most of their bookshelves as bookcases, but that shouldn’t have mattered. Millennials expect their queries to be understood the first time around, and older consumers are starting to expect the same. From the homepage down to the individual product pages, IKEA’s big-box way of doing things hindered its ability to reach a very out-of-the-box generation. 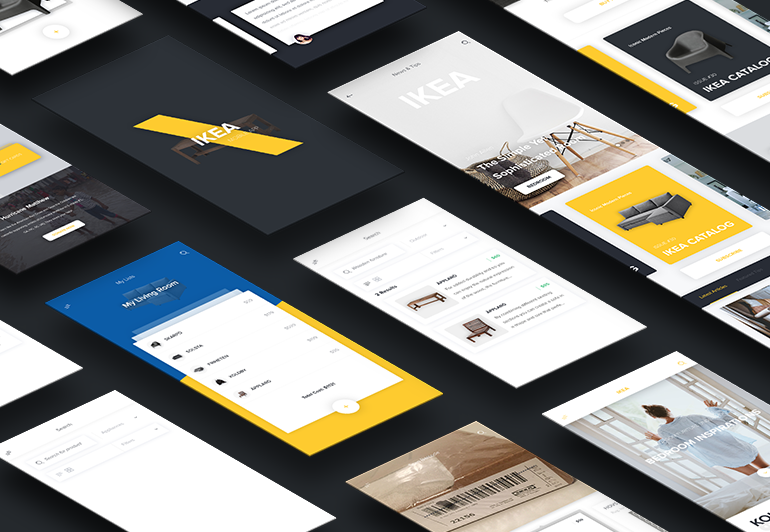 So how did we make IKEA’s user experience more intuitive, more forward-thinking, and more meaningful for young consumers, all while maintaining the brand that literally billions of people – young and old – already trust? Step 1: Design a Friendlier First Experience. 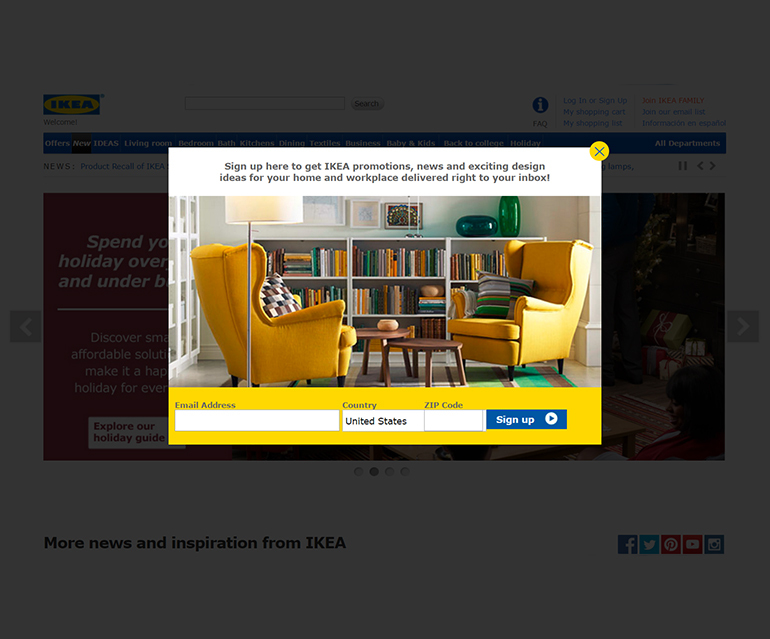 On the current IKEA website, visitors were instantly greeted with a pop-up, asking them to sign up for the mailing list. The pop-up was abrasive and off-putting. It set the wrong tone, so we did away with it. I replaced the pop-up with a subtler slide-over box, which appears after a user has been on the site for at least one minute. 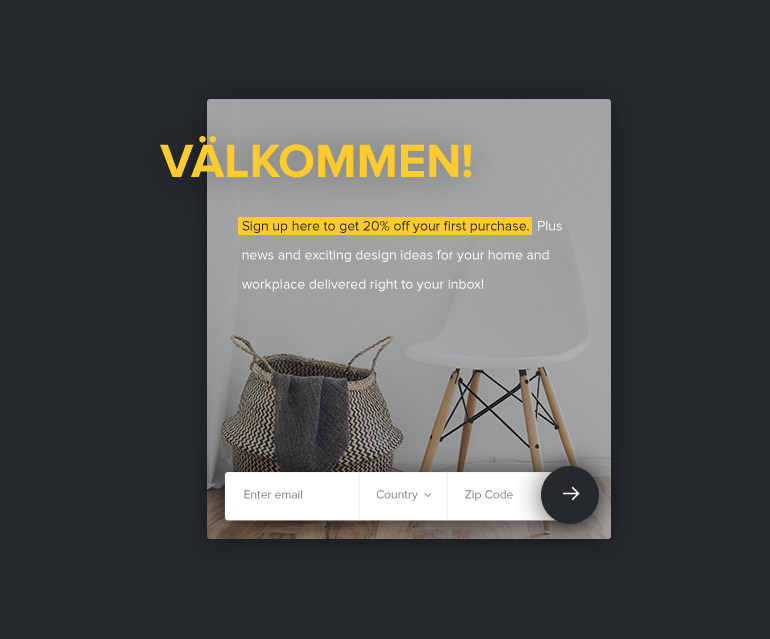 The sign up option does not interfere with the rest of the site, and it offers instant savings if the user chooses to join the mailing list. As IKEA shoppers tend to be cost-conscious, we’ve found this gentler approach with an added offer to be much more effective. Step 2: Declutter the Homepage. Next, the homepage was too cluttered with information and options. The site looked busy, and no particular section immediately drew the eye, creating an experience that felt overwhelming. 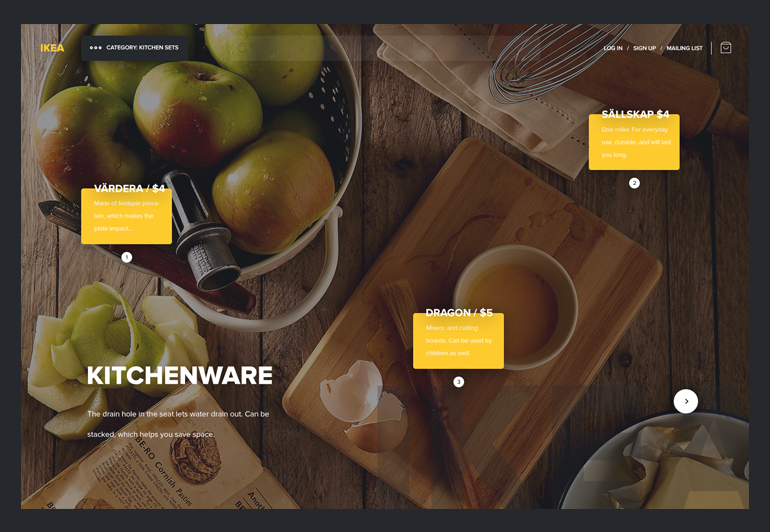 We chose to drastically reduce the content on the homepage, focusing primarily on a large image slider, which featured images of different room types. We also made the images more representative of IKEA’s actual customer base. The old site showcased big rooms in unattainable homes. The thing is: Most Americans today are renters. Younger generations are putting off marrying, having kids, and buying homes. So we replaced the pristine photos, used on the homepage and category landing pages, with images that reflect a much broader variety of living arrangements and personal styles. Our photos feature kitchen layout examples, cooking layouts (like the one above) and other examples related to people being active around a specific category – mostly in apartments and smaller living spaces. Step 3: Overhaul IKEA’s Search. Remember that ill-fated “bookshelf” search? For example, searching on the old site for “couch” returned no product matches at all. On the other hand, searching for “sofa” yielded 1,095 results. That’s no good. 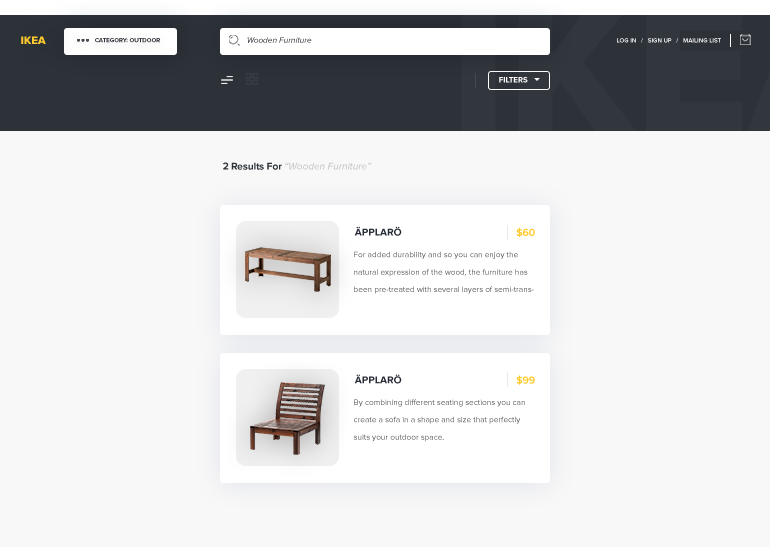 So our next step was a total overhaul of IKEA’s search feature, utilizing the latest advances in natural language processing and semantic search using wit.ai’s API. 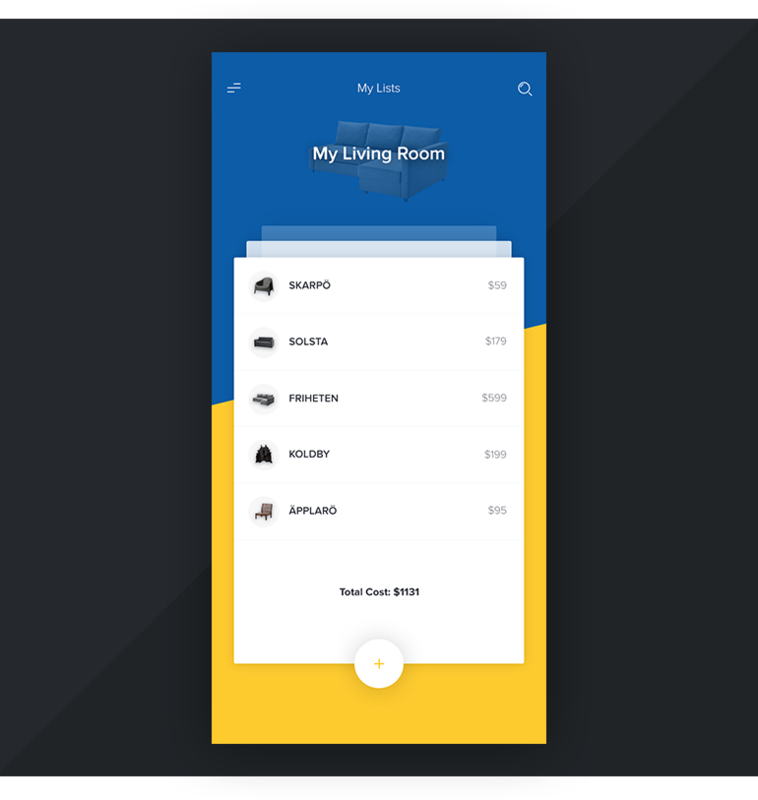 The goal was to empower users to be able to find whatever they were looking for as quickly as possible without having to navigate through the complex room hierarchies employed by the current IKEA site. Step 4: Redesign the Mobile Experience. Today, 68% of Americans and more than 85% of Millennials own smartphones, and 87% of smartphone users report never separating from their mobile devices. Needless to say, a stellar mobile platform is an absolute must for any business. 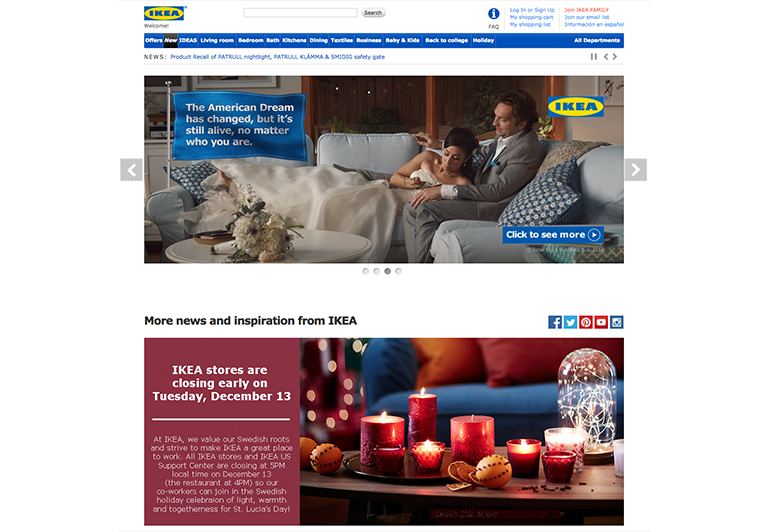 IKEA’s mobile site was essentially a pared-down version of its full website – not intuitive and not mobile friendly. 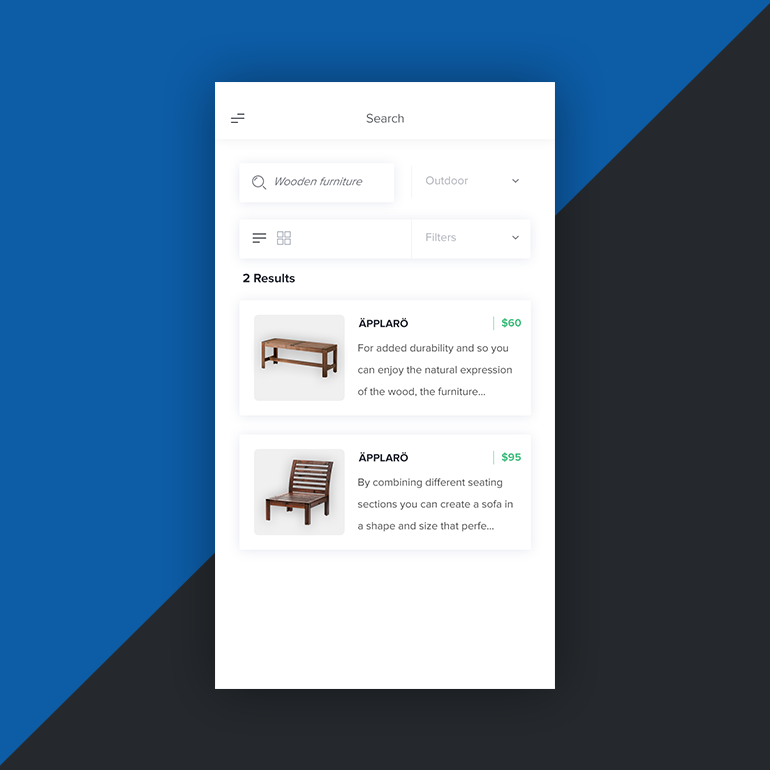 Our first step was integrating our improved search features into the mobile site, making it easier for users to get to the product of their choice. 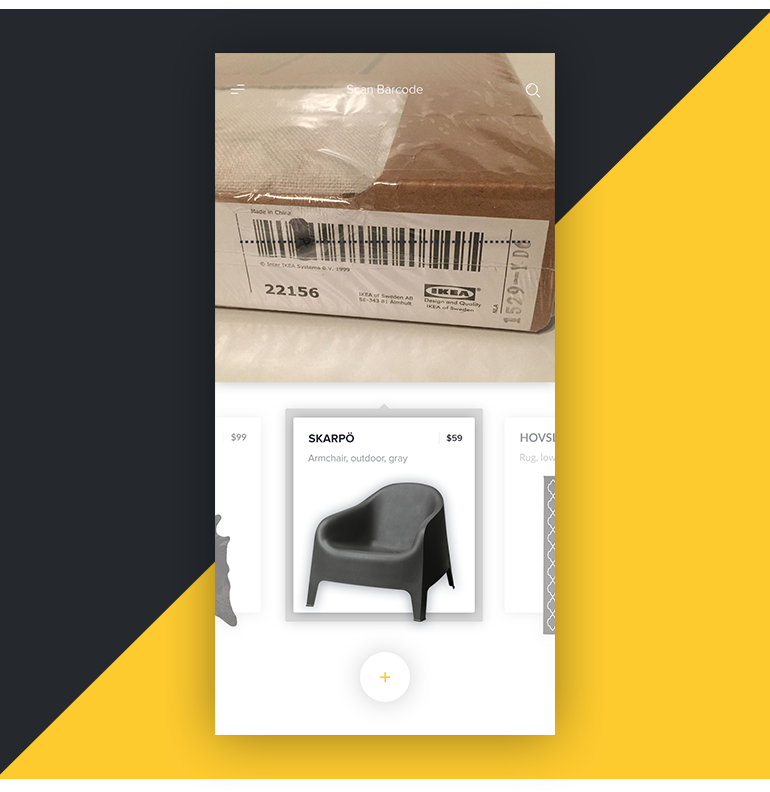 We also integrated a barcode scanning tool so that people shopping in IKEA stores could look up more detailed product information and reviews before buying. Fifty-seven percent of mobile shoppers compare prices and products while in stores, so this addition was vital. 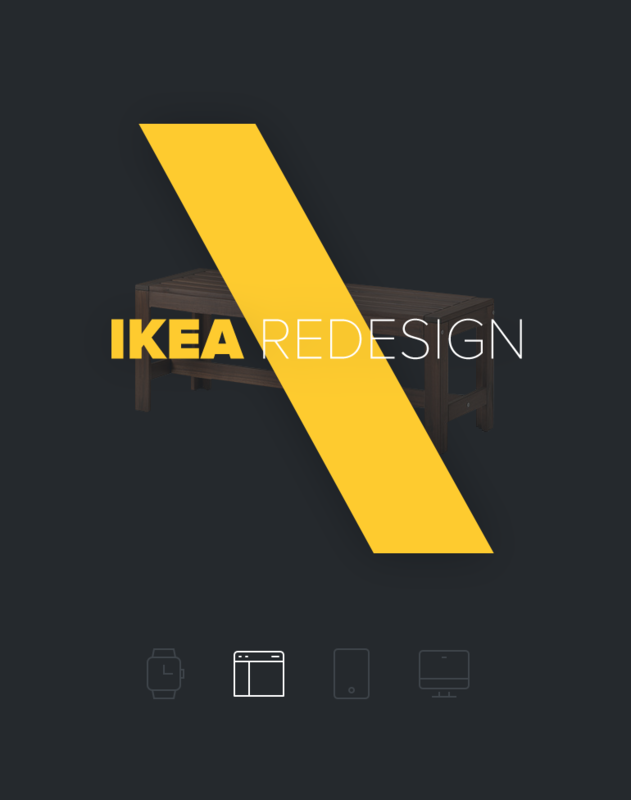 Then we made serious upgrades to the IKEA app. Changes we made included making reviews easier to access, the shopping list feature, and offering weekly design tips. IKEA’s out-of-date online presence was a deterrent to younger consumers, but the changes that we incorporated have appeal across every demographic. 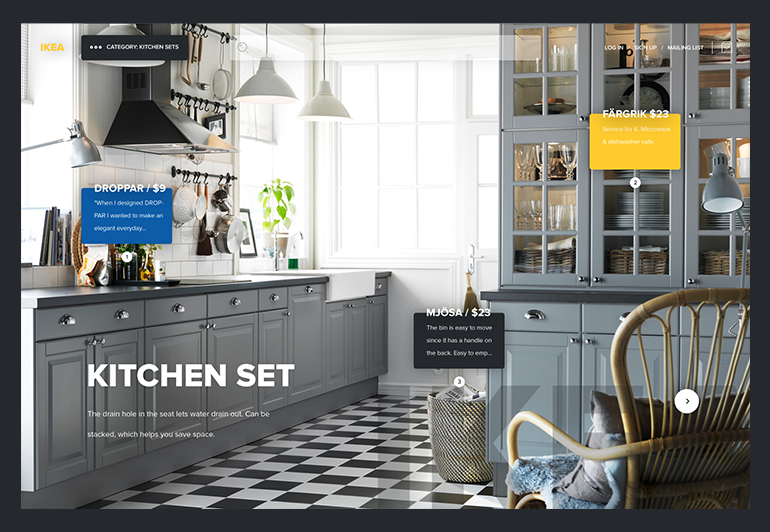 By giving the company’s entire online presence a more intuitive, forward-thinking design, we enabled IKEA to stay true to its brand while creating a better experience for all of its 1.6 billion users. What problems have you had in the past with IKEA’s digital experience? And how would you suggest improving it? You can view the full presentation of the design here. Agreed with, 'almost' everything. Is not the "design" that requires data, is the UX, that later, will reflect into the UI. Design isn’t science — there’s no magic formula for success, but yes, the data helps — a lot!! But you sure have a good point. And certainly, completely valid on this. I think you've exaggerrated how bad the Ikea site is now (I can find what I need even in languages I don't know well). I use desktop only. The mobile experience is probably terrible. On the other hand, your suggestions are pretty good (fuzzy search, better shopping lists). As Ikea uses the same website infrastructure for dozens of countries and improve to the core, would benefit Ikea enormously. I'm tweeting this out and hopefully Ikea will call (and not just pass your ideas to the internal team to take as their own). PS. This is the Toptal contribution I've enjoyed most (some of them are pretty lightweight and not suitable to a company positioning itself as a technical authority). Thanks Michael. 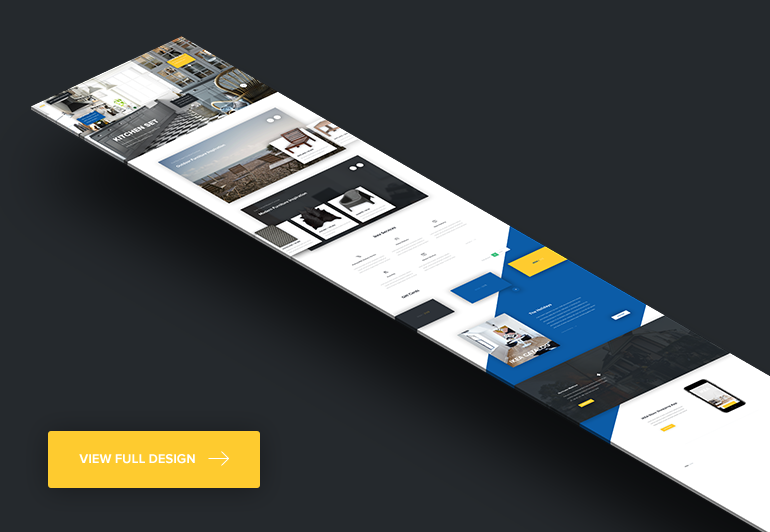 Very cool redesign! Some awesome concepts explored and the UX overhaul is good too! Love the big images but there's times (like the landing page) where I didn't even notice the search bar. The lack of a initially visible primary navigation too is an interesting departure. 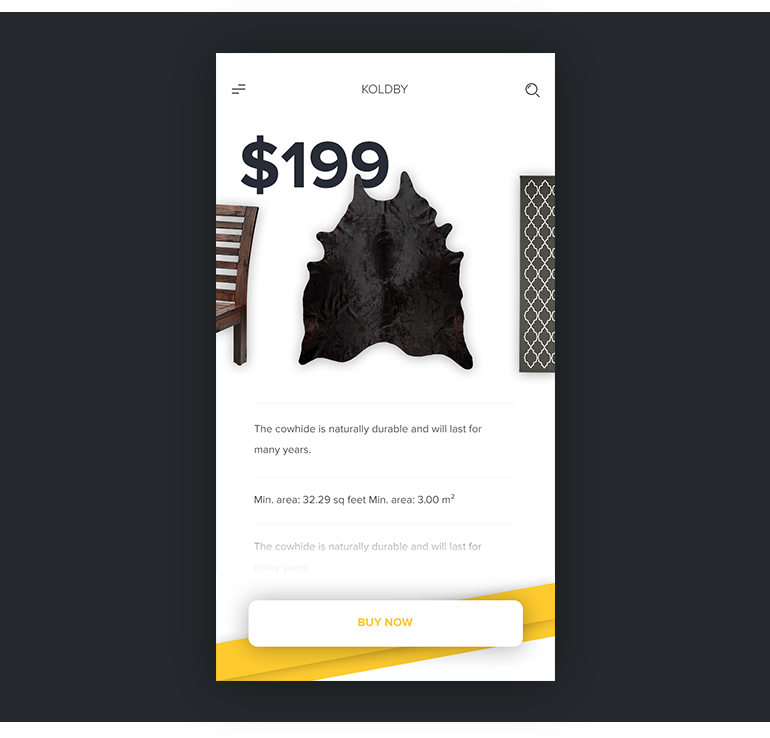 I was also curious around the choice to go with a long form design style for essentially what's an e-commerce experience. Personally, I find that the design lacks a little as we start drilling down into the search results pages, as powerful and expected features such as filters,categories, etc get buried inside menus and dropdowns complicating UX a bit. Another thing to think about is also potentially the cross selling and upselling of related products & services, and use the visual real estate to facilitate modular areas for that. This is an awesome post though and I'll certainly be sharing on my website (http://www.davidshastry.com) and business facebook page (http://www.facebook.com/davidshastryconsulting). Nicely done, Michael. It was an "ah-ha" moment when you identified the increasing number of American renters and revealed the strategy to demonstrate product in more attainable residences. That point, in its own right, could be the nucleus for the entire redesigned experience. with not going into depth of UX itself, I don't think this redesign will work. It's simply loosing branding feel and it's too much like "airbnb" alike in terms of overlook especially typography and round corners. I wanted to keep the search experience clean and focused only on drilling down based on categories and making the search results spit out better queries based on various keyword searches. Focusing on the backend and using an API like wit.ai would probably be my main focus if I went ahead and did the work for IKEA. I would let the search bar do all the heavy lifting so that the user will have to input filters as little as possible (no one needs to add filters to Google search results). Disagree strongly with the idea of showing small cluttered spaces (American renters). This is not aspirational. Good marketing is almost always aspirational. Here Ikea got it right. I want to see their furniture looking good in attractive rooms. I wouldn't want to be reminded that I'm living in cramped furnished rooms downtown. @aleck:disqus you bring up a good point that I think people often forget a little. No one wants to be reminded they're buying cheap products, let alone reminded this is all they can afford, regardless of how rich or poor. I agree with you; Ikea's presentation although a bit removed from what the masses can pocket is a better presentation that elevates the perception of product value. Although I like Michael's pragmatic design thinking, I feel that even the most budget products should be presented in an elevated manner to satisfy the psyche of customers. That's a valid point @Michael Abehsera:disqus. I agree to a certain degree. I've used a similar approach in my B2B work where it's totally a search centered experience, however, the difference I feel between Google and an e-commerce experience is that Google is highly term based, while an e-commerce experience is usually categorically driven and there's a need to show options as the customer isn't usually looking for one specific item. Google offers related terms but the search term itself is of primary value. In an e-commerce experience, especially with say furniture, people generally know what they want and want to refine based on certain assumptions. I feel Google's more hands off. You approach with a specific question to get a specific answer. The e-commerce journey is a little less rigid and should allow for consumers to easily explore and play within the whole product family. That being said there's so many ways to skin this cat, and without knowing the limitations, technicalities and constraints we can talk all day about what's best to do. Thanks for sharing about wit.ai; I wasn't aware of that. Looks very cool and I'll certainly be looking into it for future projects! Nice feedback, Alec. However, you've taken what Michael wrote, along with my reply, and added your own twist "small, cluttered spaces." I agree that marketing should be aspirational, but I propose that aspirations may be changing. The picture that Michael used as an example is bright, clean, well organized, and thoughtfully equipped with Ikea furnishings. Maybe you'll disagree, but I think it meets your criteria of "looking good in attractive rooms." Ultimately, there's no need to reach consensus, but I believe there is a growing opportunity to market housewares in a way that both reflects and elevates life as a renter. It's beautiful, but this will not work for real content. And UX is awful. Beautiful pictures but need to try the real website and mobile version. Our ikea.co.uk has 388 "couches" and the same amount of "sofas" btw... maybe it's something wrong with US market though :) Also interesting how to choose a quantity when user buy furniture, because usually it's not a 1 but 4 chairs. Barcode scanner is cool for comparing, always use it in a book store and with Amazon app :) But I think it's a bit useless as a price comparison feature if you compare price online and offline in Ikea store, shouldn't it be the same? I think it could work ok as a list companion, instead of this piece of paper and ikea pencil that they have in stores. Indeed, there's a lot of examples here of inaccessible colours used on key typography. That's a big no-no. Ok, I'll tell it: real design isn't about making sh*t prettier than it was. It's about understanding and solving people's problems & making their lives better. With 'solution' like this I would instantly fire you as a designer. Name of the article suggests it will take IKEA out-of-box but I can see only some pretty pictures. Someone would say it's a clickbait... For me the design is always about data. And I see you don't think it's something that should be considered. Where's research? Where's validation of your designs? I see a lot of opinions and the problem is when they serve as a base for redesign itself ("The store’s online and mobile platforms did a poor job of converting younger consumers, and the reason wasn’t a lack of brand appeal or pricing – it was a clunky, out-of-date user experience." – how can you tell? You know the numbers?) Maybe I don't get the point of this article. I've always considered Toptal as an 'professional authority' and it's sad for me to see how you educate the market about what design is. There's nothing elevated about living in tight spaces, Micah, no matter how you try to spin it with words. If you agree marketing should be aspirational, then there's nothing wrong with the current moderately spacious Ikea demo rooms. On the other hand, the website could do a great deal more and do it more elegantly. The Ikea website hasn't improved much in the five or six years I've been using it and that' indicates a problem - stagnation and self-satisfaction. Really horrible UX and even UI work. Unreadable titles, no Accessibility features, no navigation thinking, no development-oriented things. Just this bunch of poor screenshots. Unreadable opacity of the hints, even arrow is not centered to the button. No work on details, no work on ux, no work on graphics, just bunch of stolen shadows. Good job, Toptal. I really like a current IKEA site now. I glad you're not working on it officially and just using famous brand for your promotion. This is a for-fun design exploration. Obviously the IKEA corporation wouldn't share with Michael all of their internal business goals, website analytics, and user research. So did he have all the data necessary to implement a real-life redesign? Of course not. But does that mean this isn't a worthwhile endeavor? No. 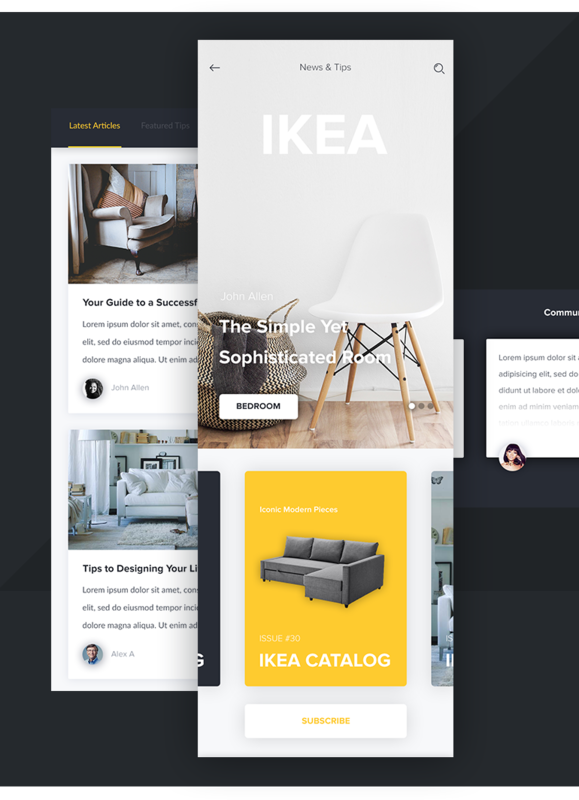 As a user who frequents the IKEA website, I thought this was a beautiful and thought-provoking redesign that tackled many of the problems I regularly encounter on the site. Not sure how the search query itself is so much of a design issue. "utilizing the latest advances in natural language processing and semantic search using wit.ai’s API." Could've just done that under the hood and call it a day. This doesn't feel like IKEA, man. You can't say you're trying to make the first-touch more friendly, and go from plush armchairs in a warm study to stark white Eames chair. IKEA is the home store for the people; what you've designed is beautiful, but it feels luxury, and expensive. if this is a spec project (it appears to be) you should state that from the outset. the rationale around millennials is way off. "The store’s online and mobile platforms did a poor job of converting younger consumers" What are your resources for this? Do you have numbers? You need research if you're going to make statements like this. Additionally, people who are color blind are going to have a hard time reading yellow text on a white background. Not to mention white text on a light gray background, as in your last screenshot. It's not just "for-fun" if statements that require statistics are going to be made within the article. That means it needs research and real world numbers. It could be promoting best people for Toptal ( If you check who is lead designers out there and their portfolios - they are not that good) . It's could be another Behance which is grouped self adoration circle. I also see a lot of problems with the brand feeling, since the redesign looks like any other minimalistic website with a touch of Material Design. But what really hurts the design is bad typography. You say you want to take IKEA back to the people, but then provide copy text that most 40+ users have a tough time reading. Accessability is a problem with the old page, too. But you should have adressed that and not only pump out a "classic" 2016ish redesign that could be found on every other Dribbble account. Maybe I'm late to the party, but readability is REALLY an issue in these sketches. Try the WCAG contrast checker - it's flashing red lights all over the place... Other than that I agree with Mike Acler.